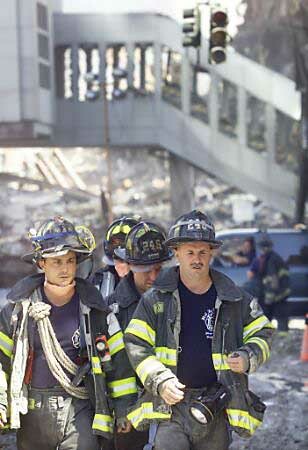 As the Twin Towers of the World Trade Center burned, firefighters and emergency medical technicians ran, as they always do, towards the danger. These men and womenbrave is too commonplace a word for themstrove, as they always do, to save the innocent placed in such deadly jeopardy, disregarding the jeopardy in which that behavior places them. The toll in New York City of firefighters and EMTs is staggering: over 300 died because they ran into harm's way to save others.